Any regular stock market investor knows the value of tracking specific indicators, that give you some idea where, when and why the market is moving in a different direction. 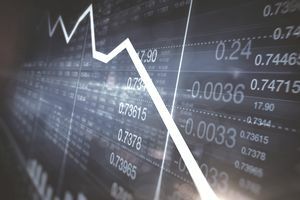 To get that data, the top traders and money managers on Wall Street often turn to so-called “breadth” indicators, i.e., the number of stock, bonds or commodities rising or falling during a specific trading session. Often, breadth indicators are known as internal market indicators—that compile market data on what, in general, is happening with buyers and sellers in a given market category, at a specific point in time. Security or index that ends the trading day higher is an “advancing issue” and may be regarded as a bullish market indicator. Security or index that ends the day lower is a “declining issue” and may be considered a bearish market indicator. Market breadth indicators can also track other key trading criteria, like the number of securities closing the trading session at a 52-week high or a 52-week low. Together, the number of securities that are collectively advancing and declining is market breadth indicators and are widely used by professional investors in their technical analysis research—often on a daily basis. If the majority of the securities tracked by the indicator are “advancers”, then investors expect a rosier market going forward, while a majority of “decliners” would give investors pause, indicating weakening demand for the stocks, bonds, or commodities covered by a given indicator. Essentially, breadth indicators point to a convergence or a divergence in securities markets. If the data reveals a confirmation then the market index being tracked will continue on the path it’s on. If there’s a divergence, then the market path will veer off into a different direction, predicated on the advance/decline data conclusions drawn from the breadth indicator. Breadth indicators typically cover entire index’s, like the New York Stock Exchange, NASDAQ, or pretty much any securities market index, sector or industry. Tick Indicator: The NYSE Tick Index’s name is derived from the “ticks”—the actual trading price movement of a given security or index at any given time, as measured by upticks and downticks. An uptick denotes a security that’s trading higher than price than the previous trading price. For example, if Facebook (FACE) had a previous trading price of $179.25, and a new trading price of $179.75, Facebook would be deemed as an uptick. A downtick is a trade price lower than the previous trading price. In this instance, if Facebook had a previous trading price of $179.75 and a new trading price of $179.25, it's on a downtick. Consequently, if a tick indicator shows Plus-275, that means 275 securities tracked by the indicator are trading up then trading down. A Minus-275 reading would indicate the exact opposite. Advance-Decline Line Indicator: The Advance/Decline Line Indicator is much more comprehensive in the number of securities it tracks—over 2,500 stocks are monitored. The formula is the same as the Tick Indicator—weighing the value of the stock market based on the number of advancing securities against declining securities. If the A/D Indicator posts a 450, that means 450 more stocks are advancing and not declining. A reading of -450 would indicate the exact opposite—450 more stocks are in retreat than are rising, price-wise. Surely, breadth indicators can provide much-needed clarity for investors, and lead to more stable and savvy investment outcomes. As long as investors stick to the script and use breadth indicators as gauges on whether money is going in or out of the market, and not which stocks or other securities are garnering the most money, the breadth indicators can be highly useful. In determining whether more cash is flowing in or out of the market, breadth indicators can be a reliable powerful predictive tool on market movement and momentum—one that can give investors a big edge over the competition on a regular basis.